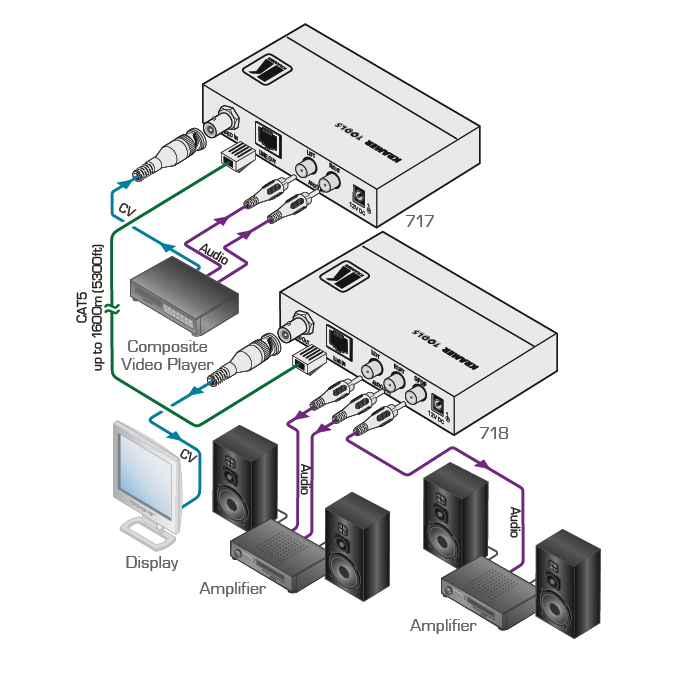 The 718 is a twisted pair (TP) receiver for composite video and unbalanced stereo audio signals. The 718 receives a twisted pair signal from the 717 transmitter and converts it back to composite video and unbalanced stereo audio. System Range - 718-05 up to 500m (1640ft), 718-10 up to 1000m (3280ft) & 718-15 up to 1500m (4920ft). Automatic Audio and Video Equalization (EQ) Control.